Scan the rows of wine on the shelf of your local wine shop, and there’s one bottle of Rueda that’s bound to catch your eye should it be in stock. Perhaps it’s the iridescent shimmer of the foiled label. Or maybe it’s the intrigue of the design — a deer poised on profile in a tangled, silver forest. Or maybe it’s the simple, bold name and typeface: Shaya. Yes, there’s something about that bottle that draws people into Shaya — but it’s the bold, crisp Rueda wine inside the bottle that keeps wine drinkers coming back. After all, as many “critter-label” wines have found out, a good frame can’t save a bad painting, so it’s ultimately all about the juice in the bottle. The idea for Shaya started with one basic premise: Work with authentic Verdejo grapes to make an authentic Rueda wine. The idea for Shaya started with one basic premise: Work with authentic Verdejo grapes to make an authentic Rueda wine. Nestled on a parcel of land near Segovia, Miguel and his team started their bodega in the heart of Rueda, and focused their efforts on cultivating only the best pre-phylloxera vines. The only thing they didn’t have was a name. And then, a deer trotted by. With an unwavering focus on protecting the integrity of the wine, Miguel sought out a great winemaker with a proven ability to make great whites — and he found one who just so happens to be from Australia. Just as the wildlife center saw something worth saving in that striking deer, Miguel and his team felt the need to give more life to Verdejo, treating the prized grape of the region with respect and dedication. But just because the team set out to honor a piece of pre-phylloxera Spain’s past, that doesn’t mean they weren’t willing to also think globally. With an unwavering focus on protecting the integrity of the wine, Miguel sought out a great winemaker with a proven ability to make great whites — and he found one who just so happens to be from … wait for it … Australia. Enter Belinda Thompson, Shaya’s head winemaker. And that brings us to the present, and to the wine itself. What exactly goes into every bottle of Shaya come harvest time? As for the rest of the year, Miguel explains that off-season is when the team takes time to learn, improve their practices, and enjoy their wine: each glass the result of the passion and affection that they gave during the harvest. 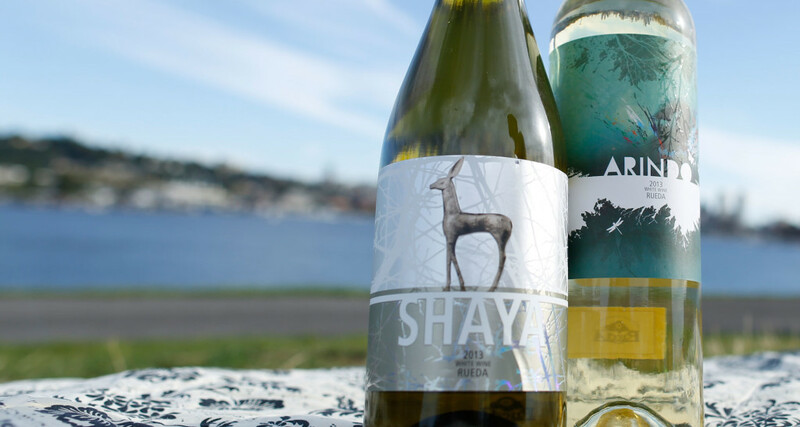 Pair Shaya with seafood or poultry; drink it for a nightcap or a day-starting brunch — the delicate acidity and crisp taste makes it friendly with just about everything and everyone at the table. And you can’t deny it looks pretty, too.